The business model of Allegacy Federal Credit Union (Allegacy FCU) can be summed up by two slogans: “Be your best you” and “people helping people.” At first glance, these phrases seem at odds with one another, with the first focused on the self and the second focused on assisting others. So how does Allegacy go about honoring both sentiments? For example, Allegacy was recognized by Healthiest Employers as one of the 2016 Healthiest 100 Workplaces in America as a result of that focus. Much of that has to do with Allegacy’s first general counsel Timothy Moore, who has been an essential advisor in helping Allegacy innovate. 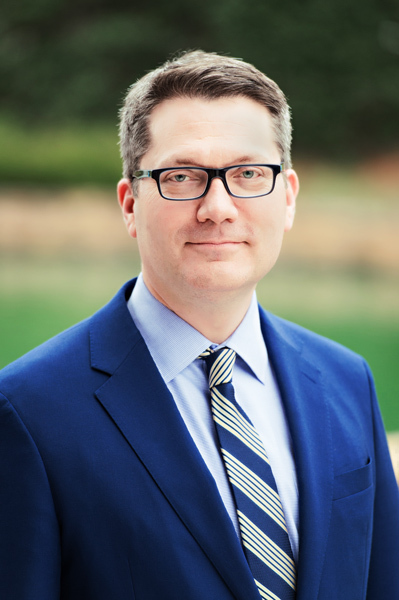 Even though Moore is still relatively new to his position (he started in August 2016), his legal and compliance teams have already transformed the lawyer within him into an attentive and accommodating decision-maker, as well as a signature member of North Carolina’s 2017 Legal Elite. This collaborative decision-making process was new to Moore, who came to Allegacy FCU from being a member at regional law firm Spilman, Thomas & Battle. At Allegacy, Moore views himself as a strategic counselor who helps the organization stay out of trouble, find solutions to problems, and fosters innovation while coloring inside of the legal lines. Moore oversees the legal and compliance departments at Allegacy. Among many other sectors, these departments encompass business ventures, contract reviews, vendor management, litigation management, policy revisions, and governance. And it goes without saying that time is in short supply. “Like most of my fellow legal departments, we are a lean operation, but we believe in what we are doing, our company’s mission, and the credit union movement. It works,” Moore says. It’s a tall order, but Moore says he is blessed to have an intelligent and driven legal and compliance team surrounding him. For example, Allegacy’s AllHealth Wellness account awards customers with higher interest rates on their saving accounts if they frequently exercise at the local YMCA. Moore jokes that this initiative may cause some customers to become fitness addicts, but it also stimulates many members to be more active than they would be otherwise. “Allegacy is very proud of this account and the difference it makes in our members’ lives,” Moore says. Innovation will continue at Allegacy, and while Moore is excited about what the future holds, he admits it will entail long hours and include some difficult conversations. Moore departed from a successful private practice after almost twenty years. He explains that the decision was not easy because he enjoyed his practice and the people with whom he worked, but coming to Allegacy was an opportunity he was excited to accept.